Working at the University Center for Writing-based Learning (UCWbL) gives caring, intellectually curious undergraduate and graduate students the opportunity to engage in the highly rewarding experience of helping other writers. Please consider joining our community of peer writing tutors. We value hiring a diverse staff from across all of DePaul's programs and colleges. The deadline for applications for employment beginning Autumn Quarter 2019 has passed. We are no longer accepting applications. Interviews with selected candidates will begin in early May. Invitations will be emailed on or about April 26. You are eligible to work at the UCWbL if you will be enrolled as a full-time or half-time DePaul University undergraduate or graduate student Autumn Quarter 2019 and are able to work in our Lincoln Park and Loop offices. Current non-student staff and faculty members, unfortunately, are not eligible for employment at the UCWbL. Are You Eligible to Work at the UCWbL? You will be enrolled as a full-time or half-time DePaul University undergraduate or graduate student Autumn Quarter 2019. Current non-student staff and faculty members, unfortunately, are not eligible for employment at the UCWbL. DePaul's Student Employment Office sets the policies for student employment, including specific criteria for the number of credit hours required to be considered full-time or half-time students. NOTE: At this time, there are no online versions of these courses offered. You are able to fulfill the required course practicum—5 hours/week, working as a Writing Center Tutor during weeks 2-10 of the quarter. You are able to work at both the Lincoln Park and Loop Campuses. You are able to attend both mandatory all-day staff trainings, which take place the Tuesday before classes begin in Autumn Quarter and the first Friday of Winter Quarter. You have excellent writing, research, communication, and interpersonal skills. You have a demonstrable interest in and facility for working with others. When and Where Do Peer Writing Tutors Work? Peer writing tutors work a minimum of 5 hours per week during their first quarter and a minimum of 10 hours per week and a maximum of 20 hours per week in each subsequent quarter. Peer writing tutors have shifts at both the Loop and Lincoln Park campus locations. In addition to one-on-one conferences with writers, peer writing tutors conduct presentations, facilitate workshops, and staff events. How Much Are Peer Writing Tutors Paid? In their first year, beginning Autumn 2019, peer writing tutors are paid an hourly wage of $13.75 for undergraduates and $14.25 for graduate students. Each subsequent year, the hourly wage increases by $0.50 per year (with a 4-year cap). What Training Course Will You Take as a New Peer Writing Tutor? All new peer writing tutors must begin their tenure at the UCWbL during Autumn Quarter, and all new peer writing tutors are required to take Writing Center Theory and Pedagogy, our full-credit course, which is offered in Autumn Quarter as a graduate course and an undergraduate course. Writing Center Theory and Pedagogy (WCTP) is the required course that all new undergraduate peer writing tutors must take during their first quarter at the UCWbL. WRD 395 is a Junior Year Experiential Learning course designed to allow each student to develop a theorized practice for guiding writing tutorials. Students study conferencing strategies, methods of response to writing, and multiple approaches to revision. Students read articles and do assignments designed to familiarize them with theories of writing and tutoring and to stimulate thinking about the issues these theories raise. Students practice writing comments on sample papers, participate in mock appointments, and reflect on their experiences as peer writing tutors. Because all peer writing tutors at the UCWbL will work as Writing Center Tutors and Writing Fellows at some point, the course prepares students for successfully performing both roles. Students must satisfy a practicum commitment by working a minimum of five paid hours per week in the Lincoln Park and/or Loop Writing Centers. These practicum hours must be met during times when our office is open, which include some evenings, Saturdays, and Sundays. Students must complete an UCWbL ePortfolio (see Chapter 10 of the UCWbL Handbook (.PDF) for more information) as the capstone project for the course. Students must successfully complete WRD 395 with a grade of "B" or higher in order to be invited to continue working at the UCWbL after the practicum is complete. If you register for classes before we finish interviewing applicants, we suggest you sign up for your usual course load and, if you are selected to work at the UCWbL, adjust your schedule to accommodate WRD 395. Enrollment for the course is strictly by permission only; if you are selected, the Directors will send you registration instructions. Writing Center Theory and Pedagogy (WCTP) is the required course that all new graduate peer writing tutors must take during their first quarter at the UCWbL. WRD 582 is designed to familiarize peer writing tutors with current theories and practices animating writing center studies and to give them training in working with writers one-on-one. While our immediate concerns will be necessarily practical, we will consistently strive to theorize those practical activities and to recognize and account for institutional realities that both inhibit and make possible the work that writing centers do. Because all peer writing tutors at the UCWbL will work as Writing Center Tutors and Writing Fellows at some point, the course prepares students for successfully performing both roles. Students in WRD 582 must satisfy a practicum commitment by working a minimum of five paid hours per week in the Lincoln Park and/or Loop Writing Centers. These practicum hours must be met during times when our offices are open, which include some evenings, Saturdays, and Sundays. Students will complete an academic article or digital project within or affiliated with the field of writing center studies. Students will develop an UCWbL ePortfolio (see Chapter 10 of the UCWbL Handbook (.PDF) for more information), which encourages the development of a theorized practice for guiding writing tutorials. Students must complete WRD 582 with a grade of "B" or higher to continue working at the UCWbL beyond Autumn Quarter. If you register for classes before we finish interviewing applicants, we suggest you sign up for your usual course load and, if you are selected to work at the UCWbL, adjust your schedule to accommodate WRD 582. Enrollment for the course is strictly by permission only; if you are selected, the Directors will send you registration instructions. What Other Training and Evaluation Do Peer Writing Tutors Receive? All peer writing tutors also attend the mandatory all-day staff trainings. Dates to be announced. Typically, the Autumn Quarter orientation occurs the day before classes begin, and the Winter Retreat occurs the Friday or Saturday of the first week of classes. In addition to working with writers, UCWbLers attend two required professional development workshops per quarter focused on commenting practices and other topics relevant to their work. All peer writing tutors prepare an ePortfolio through Digication as part of their staff development and performance evaluation conducted by the Directors. Letters of recommendation are due by date of interview. Take some time to read the instructions below and to write your letter of application, choose your two writing samples, and update your resume or CV (items 1-4 above) before you begin the application form. You will submit your letter of application, writing samples, and CV/resume through the application form (scroll down in this window to access application form link). Your writing background, both academic and work related, and how it might qualify you to work as a peer writing tutor. Experiences, if any, with in-class and/or out-of-class peer reviews or writing workshops; formal or informal tutoring or teaching (any subject); or other settings where you talk about writing. Experiences that would help us understand some of the ways you interact with others. Special knowledge, training, or experiences (with technology, languages, etc.) that could be useful in your work as a peer writing tutor. One or two writing/learning experiences that you found challenging and how you faced the challenge(s). What you know about us (this is not a trick question--we honestly would like to know). For example, if you have visited the Writing Center or worked with a Writing Fellow, tell us about the experience. Include two samples of post-high school writing that best represent your strengths as a writer. The Application Form includes the option to upload documents and/or provide links to content available online, including your ePortfolio. Please ask a someone familiar with your oral, written, and interpersonal skills (preferably a DePaul faculty or staff member) to write a brief letter of recommendation. Feel free to direct the recommender to the UCWbL website to learn more about the expectations for working as a peer writing tutor at the UCWbL. The recommender should email the letter of recommendation to wcenter@depaul.edu with your full name in the subject line. You will receive an on-screen confirmation when you complete the Application Form. We will notify you once we receive your letter of recommendation and your application is complete. After reviewing applications, the UCWbL Directors will invite selected applicants to an interview. Interviews will occur in Spring Quarter 2019. We will ask interviewees to prepare additional materials prior to their scheduled interview. For more information about the application process, please visit the Writing Center (you are welcome to schedule an appointment), take a look at our staff Handbook, or contact the Acting Director Matthew Pearson at mpearso4 @ depaul.edu. How Can You Submit a Letter of Recommendation? Thank you for taking the time to write a letter of recommendation for a student applying to work as a peer writing tutor at The University Center for Writing-based Learning (UCWbL)! We value your insights as we work to hire a diverse staff of empathetic and intellectually curious tutors who work with all of DePaul's writers—students, faculty, staff, and alumni—on projects in any discipline at any stage of the writing process. Please write a brief letter or email that addresses the applicant's oral, written, and interpersonal skills. 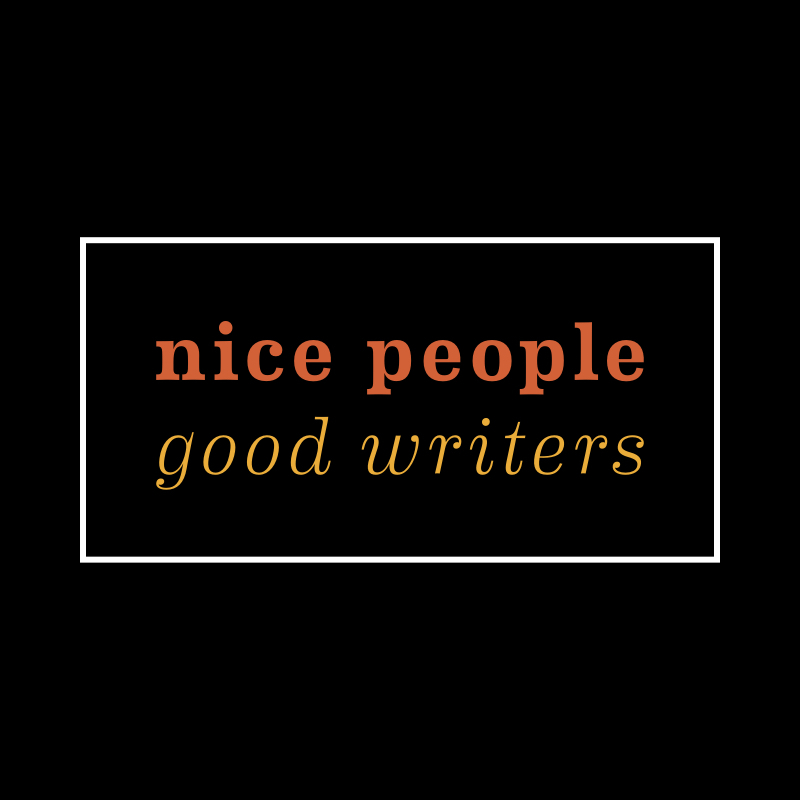 Our guiding principle in hiring is that we're looking for "Nice People & Good Writers." Please email your letter/email of recommendation to wcenter@depaul.edu with the applicant's full name in the subject line. Your letter can either be contained in the body of the email or attached as a separate document.